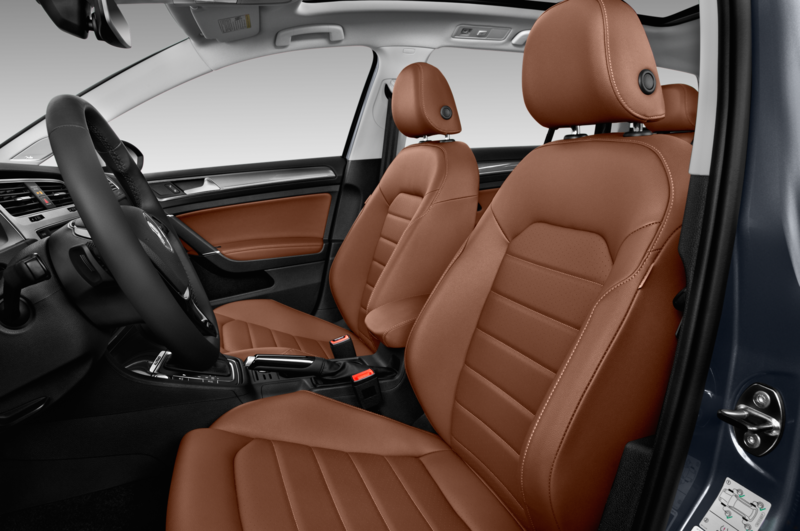 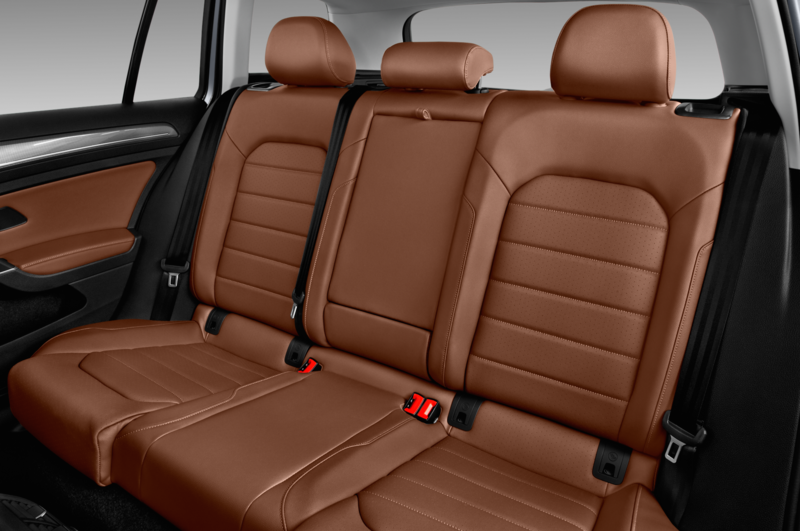 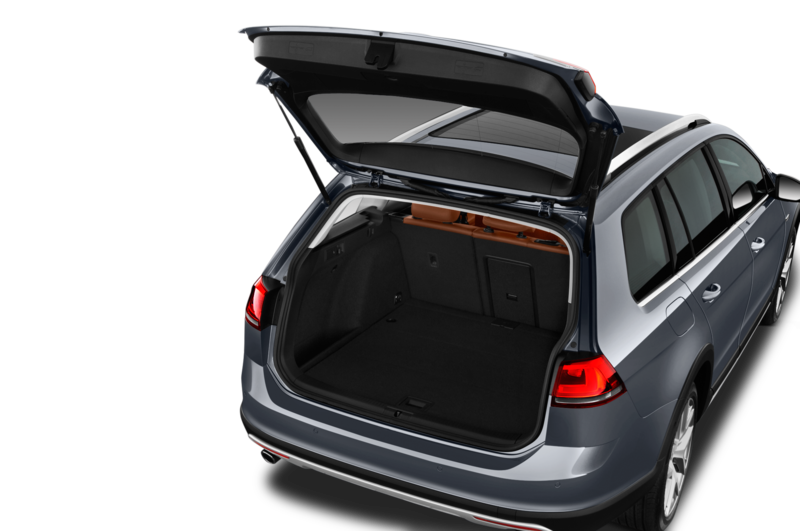 Volkswagen has released final details on its rugged variant of the Golf SportWagen. 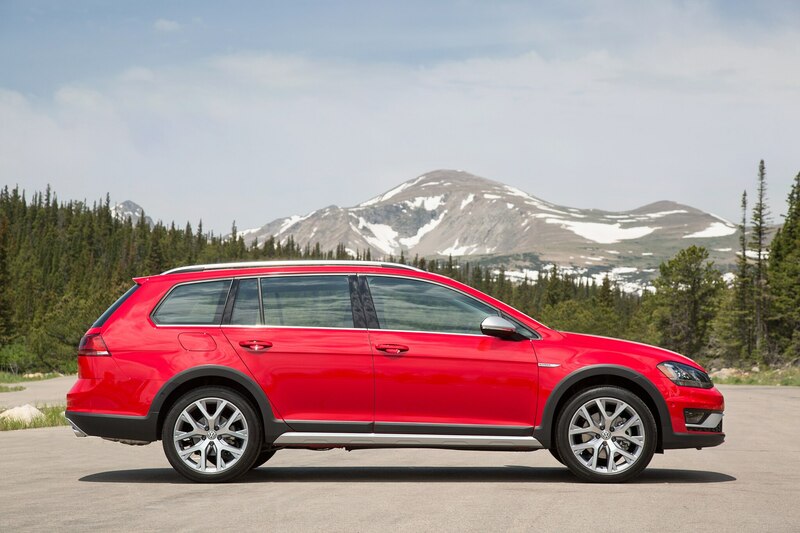 The 2017 Volkswagen Golf Alltrack arrives in U.S. dealerships in October netting 22/30 mpg city/highway. 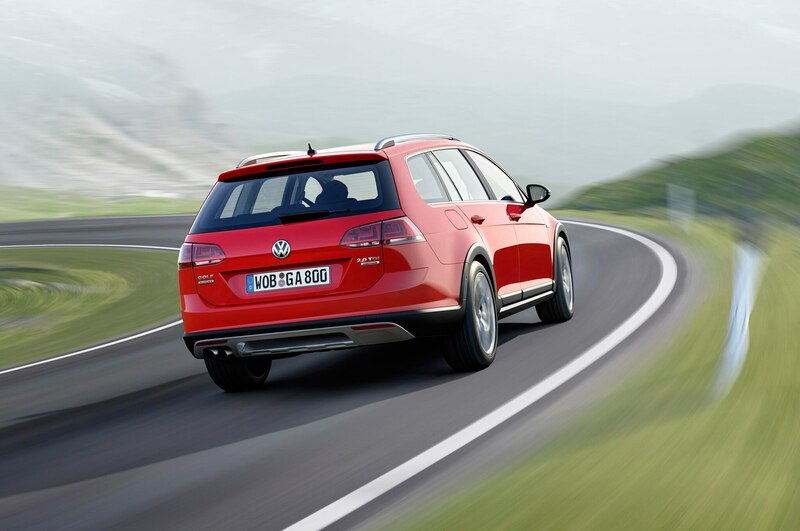 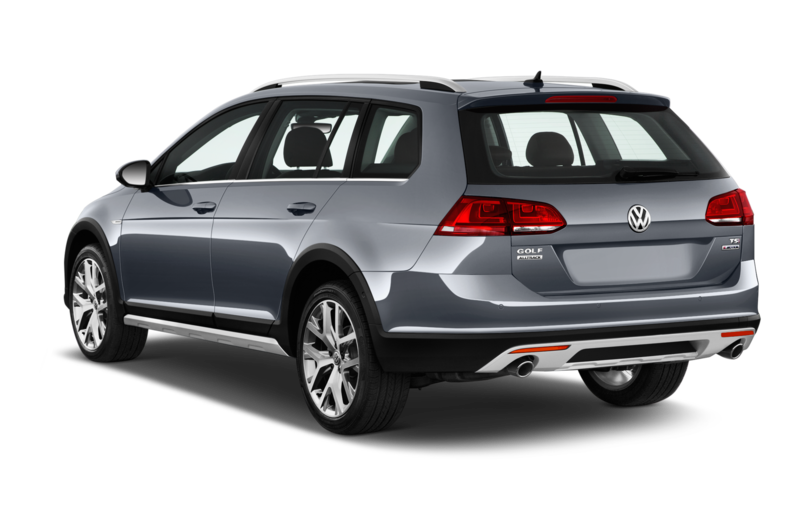 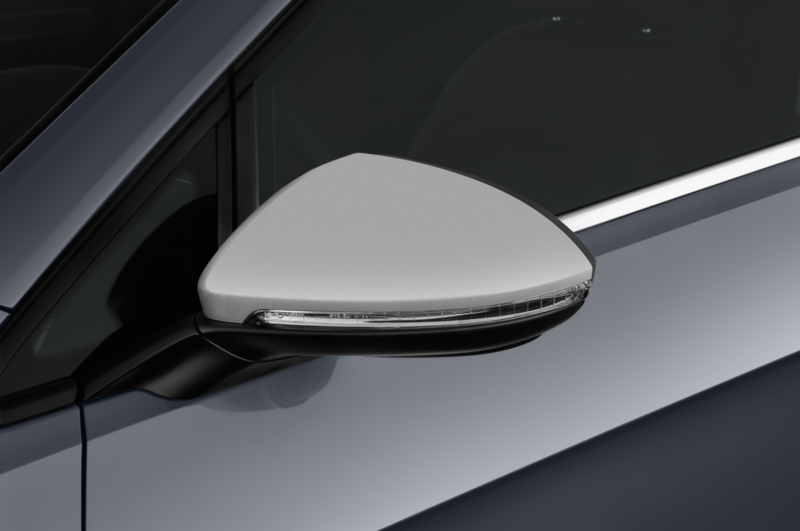 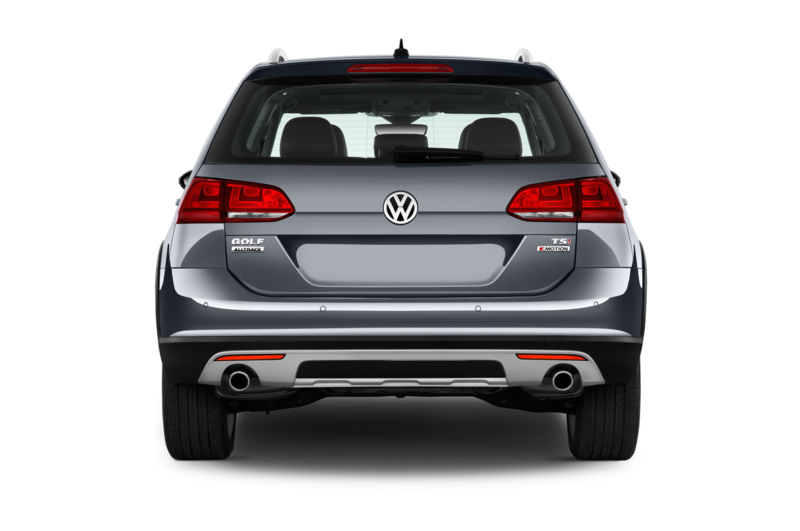 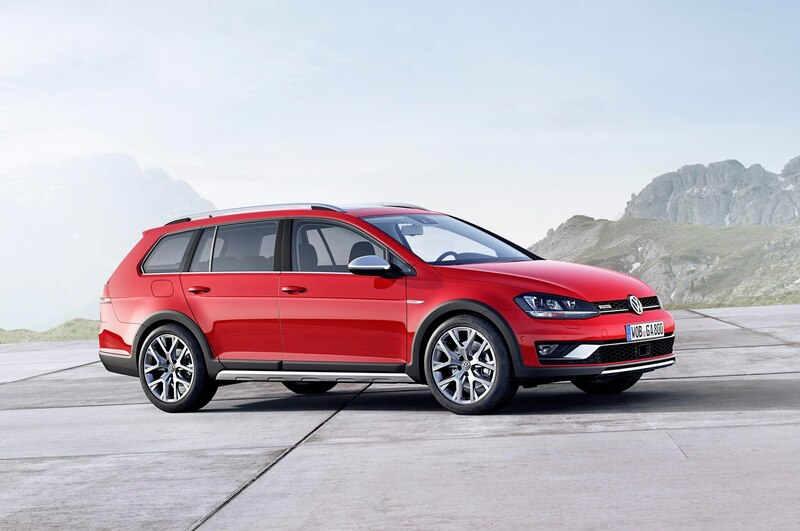 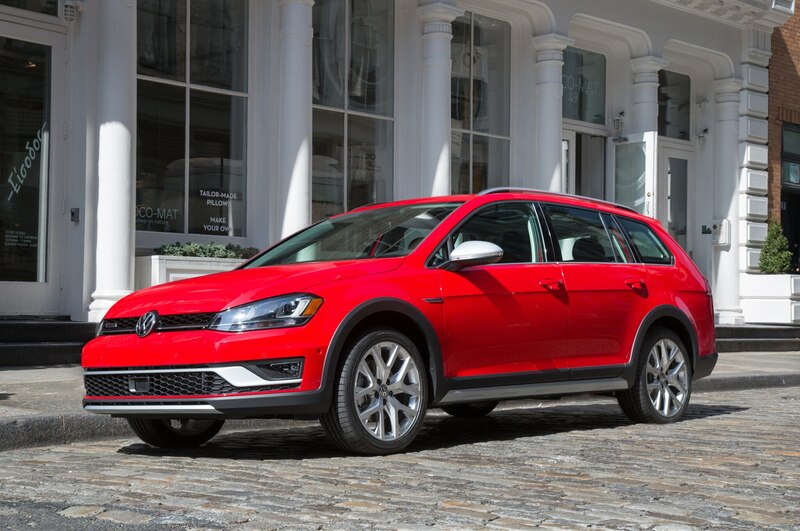 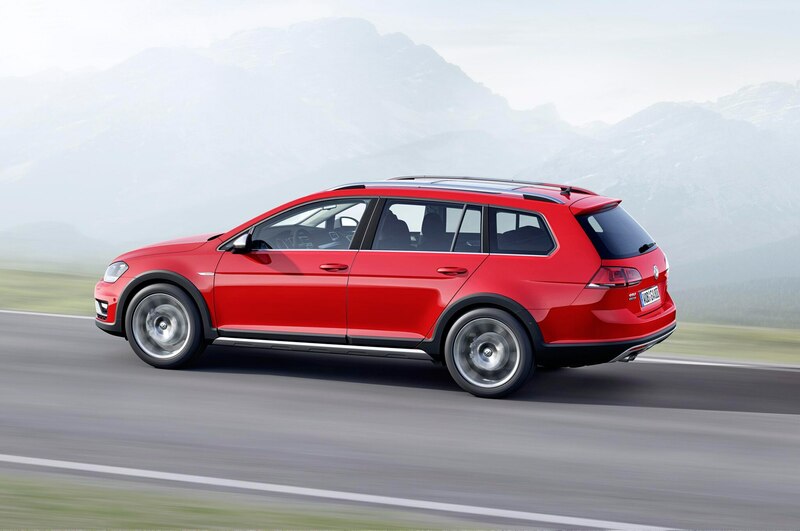 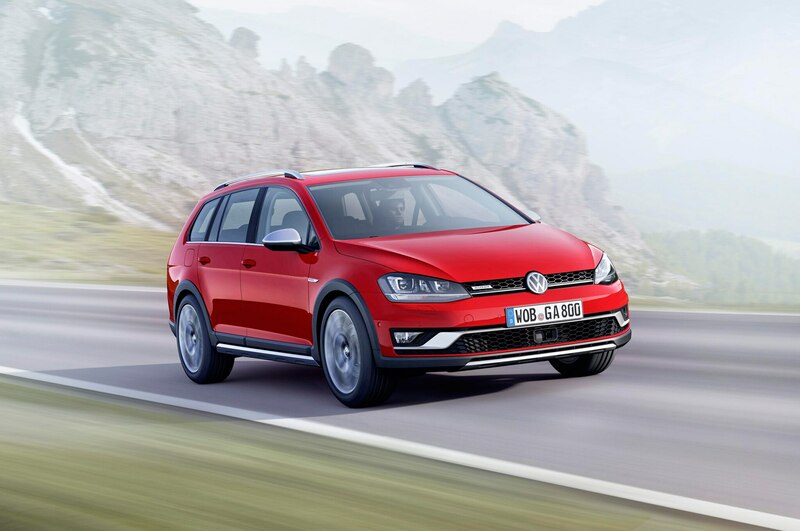 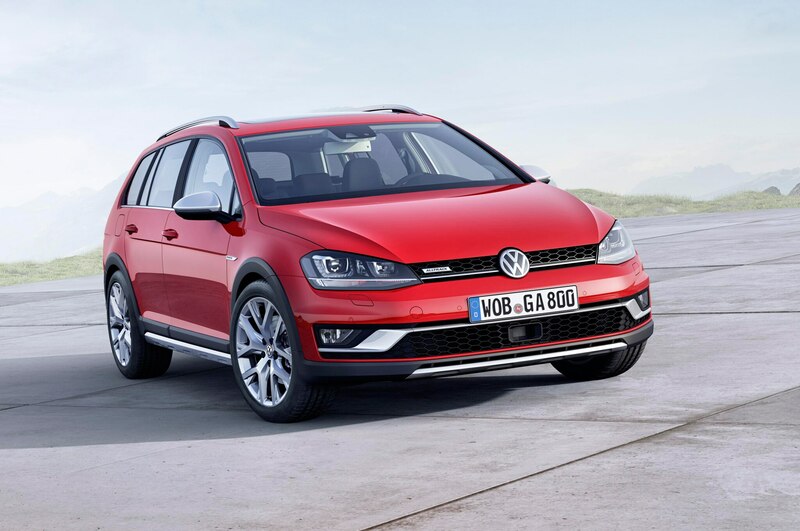 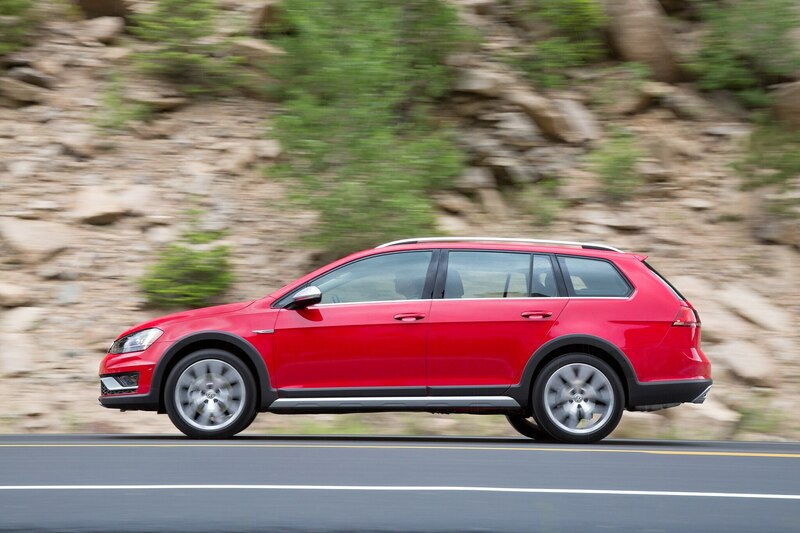 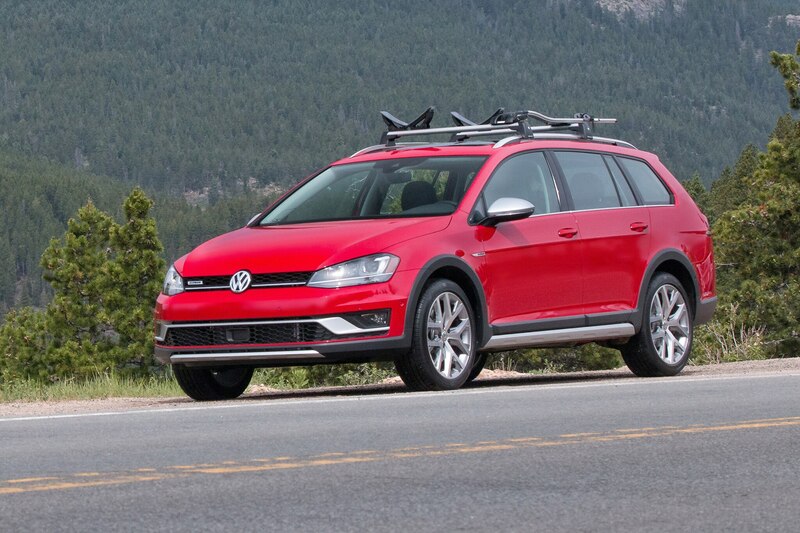 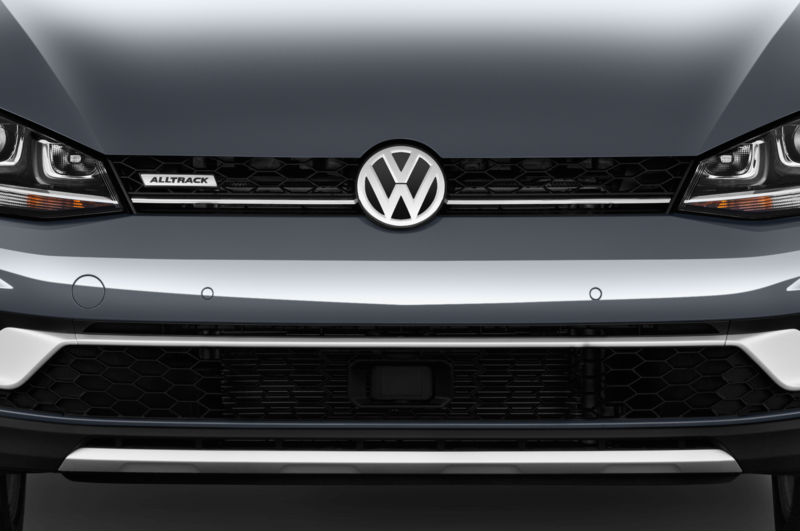 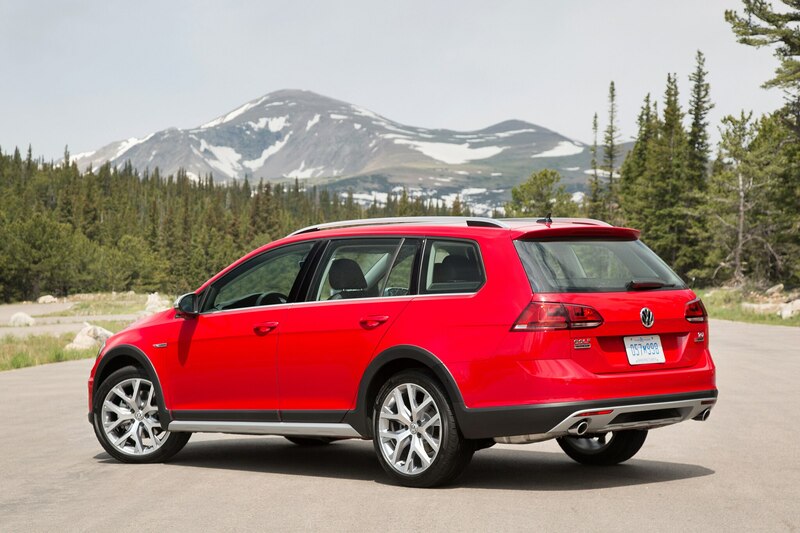 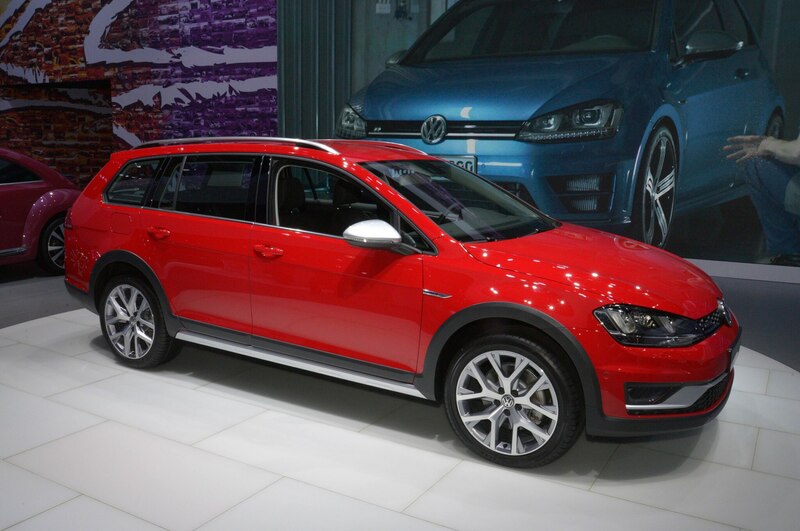 Essentially a Golf SportWagen with body cladding, all-wheel drive, and 0.6 inch of additional ride height, the Alltrack will be available in three trims. 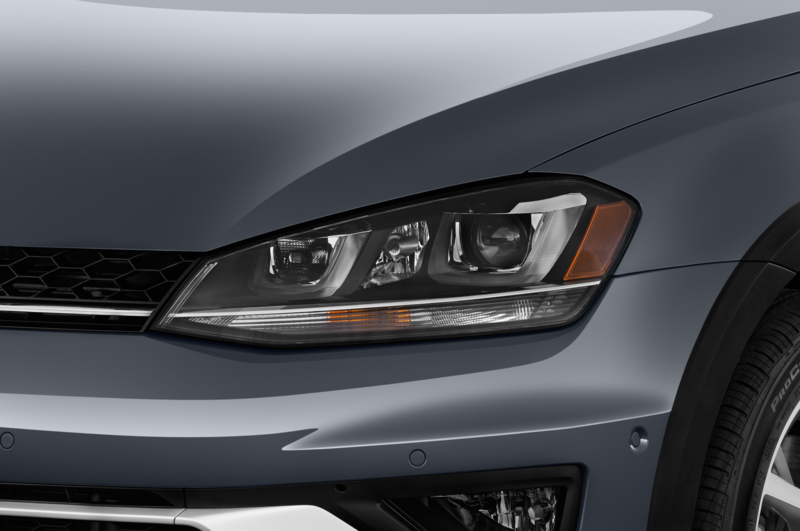 The base S model equipped with a six-speed dual clutch starts at $27,770 when it launches in October. 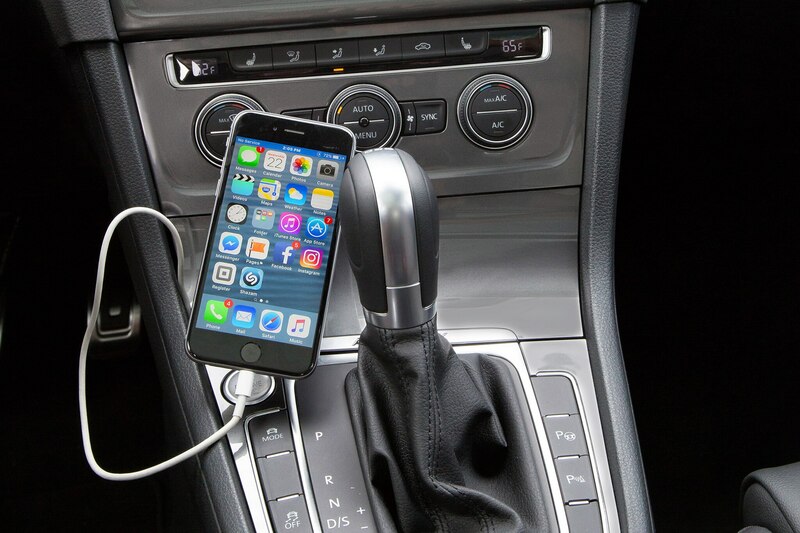 It won’t be until early 2017 that buyers can opt for the six-speed manual, which brings that price down to $26,670. 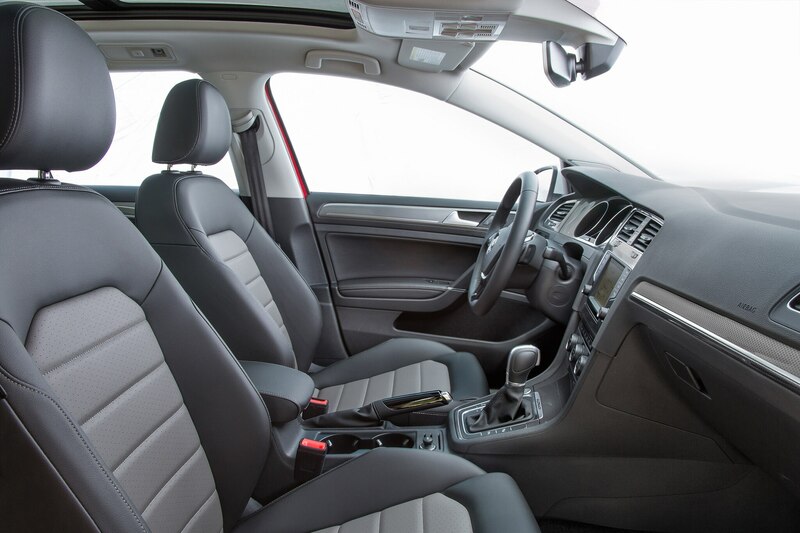 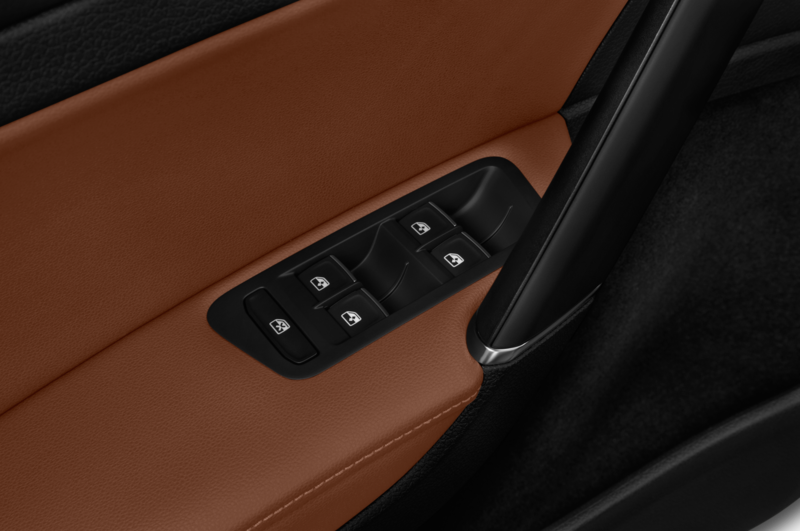 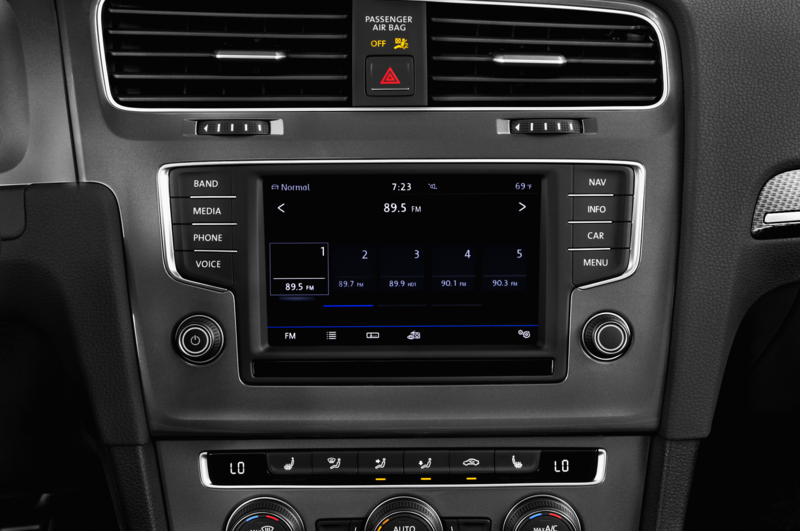 Standard features on the S model include leatherette seats, front seat heating, cruise control, an eight-speaker audio system, and a 6.5-inch touchscreen with rearview camera. 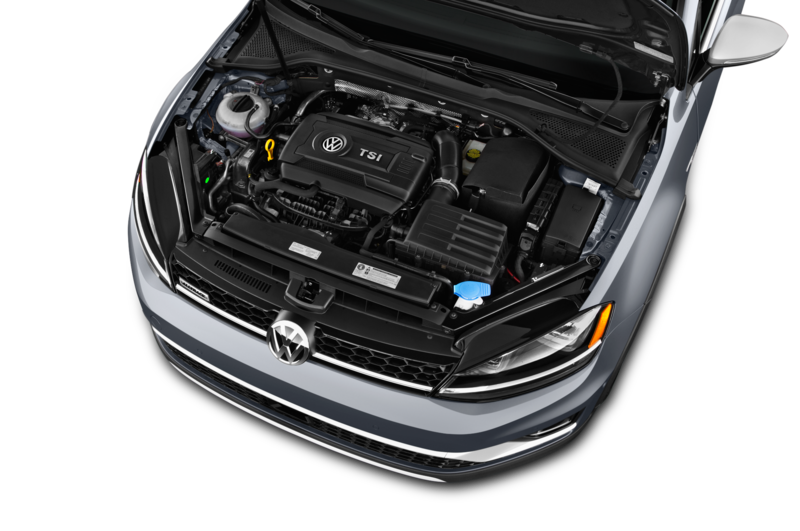 Upgrading to the SE model brings prices past the $30,000 mark. 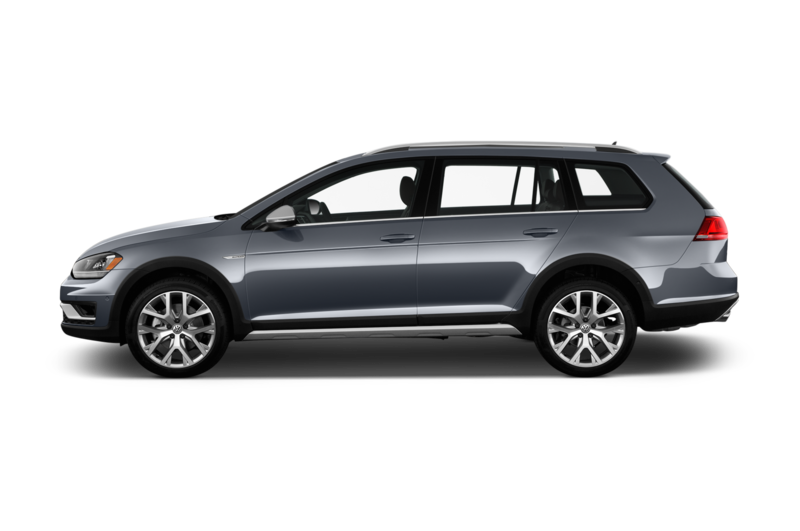 At $31,350 with the automatic (and $30,250 with the manual transmission available early next year), the SE adds a panoramic sunroof, keyless access with push-button start, and a Fender audio system. 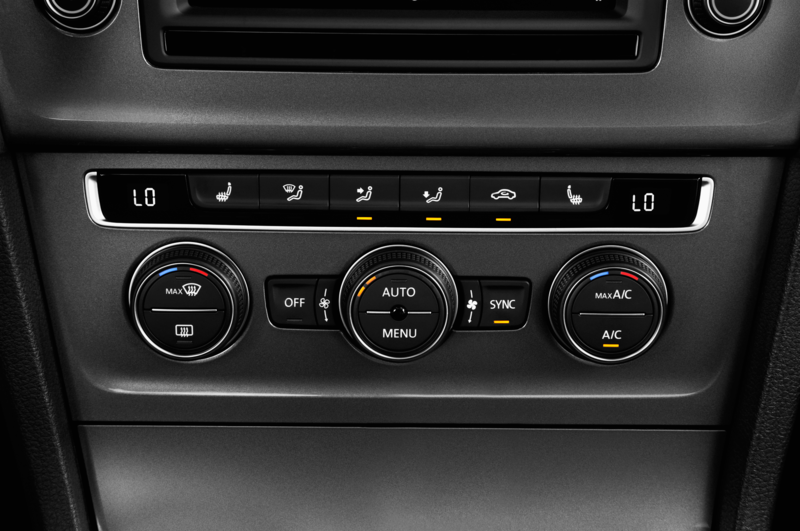 The top-of-the-line SEL model is only available with an automatic transmission and boasts navigation, dual-zone automatic climate control, and power driver seat with power lumbar. 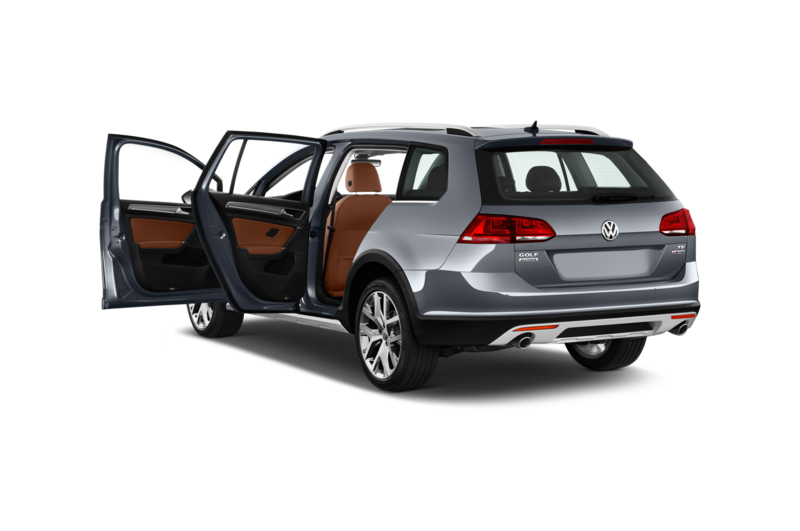 Prices for this model go for $33,710. 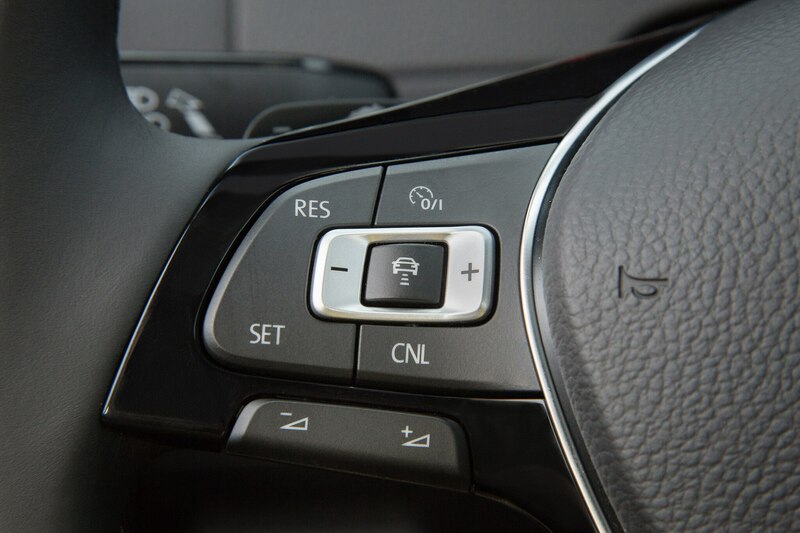 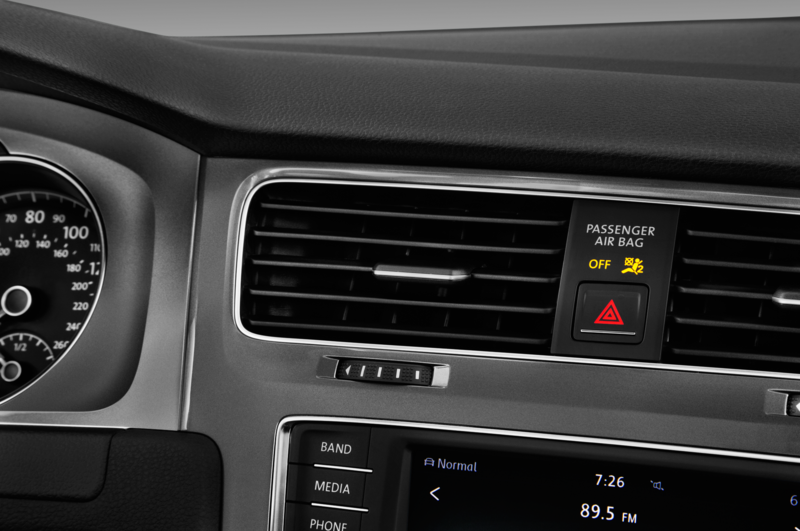 Available on the S and SE, an $845 driver assistance package tacks on adaptive cruise control, forward collision warning, automatic emergency braking, parking steering assist, and rear park distance control. 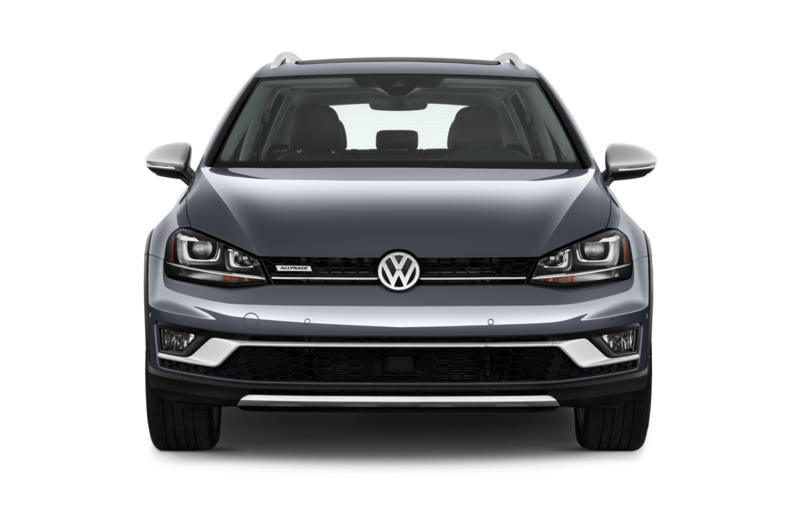 A package available on the SEL trim adds all these safety features, plus features like lane departure warning, high beam control, and bi-xenon headlights with adaptive front lighting, for a total of $1,995. 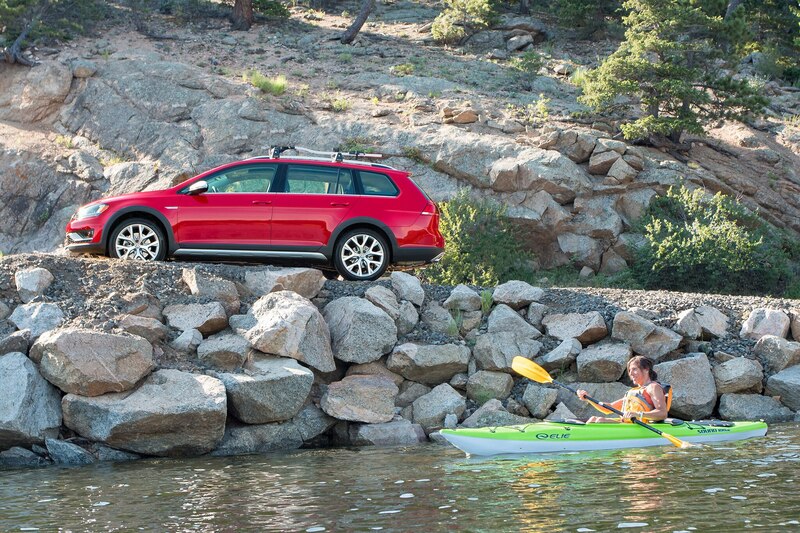 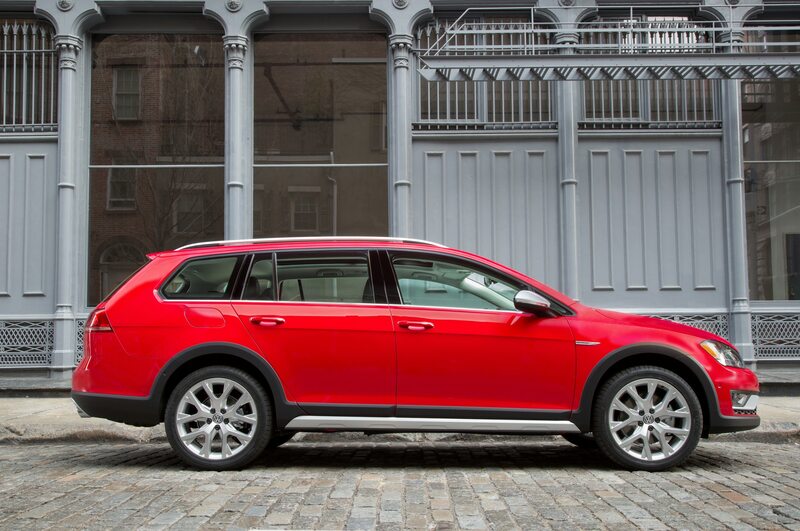 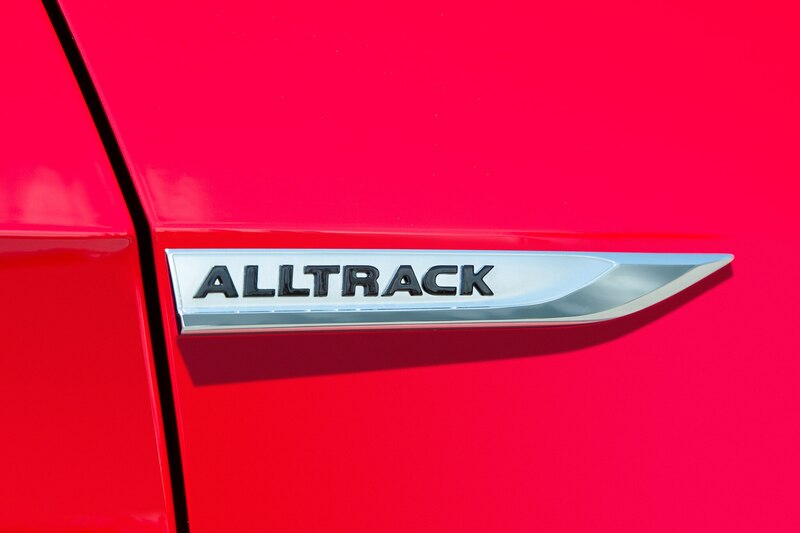 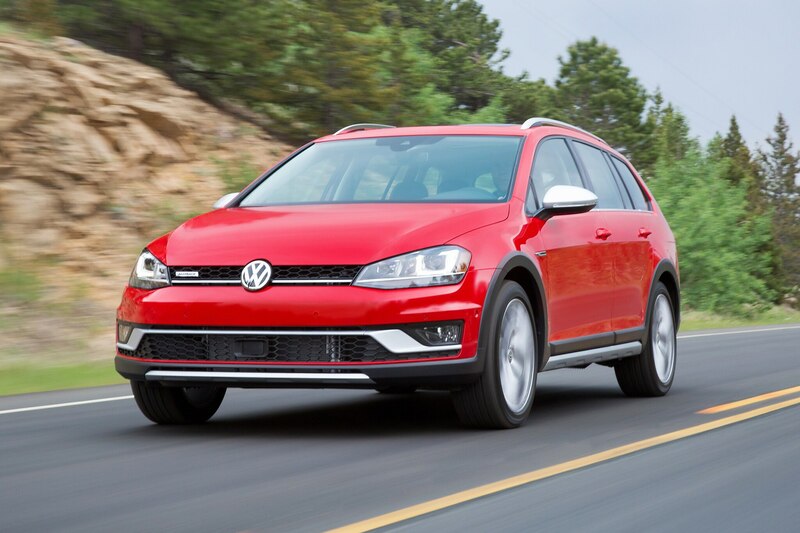 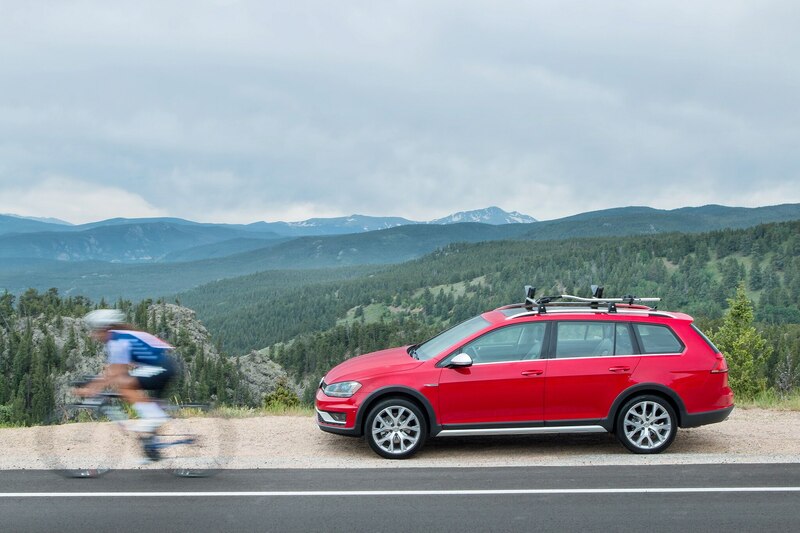 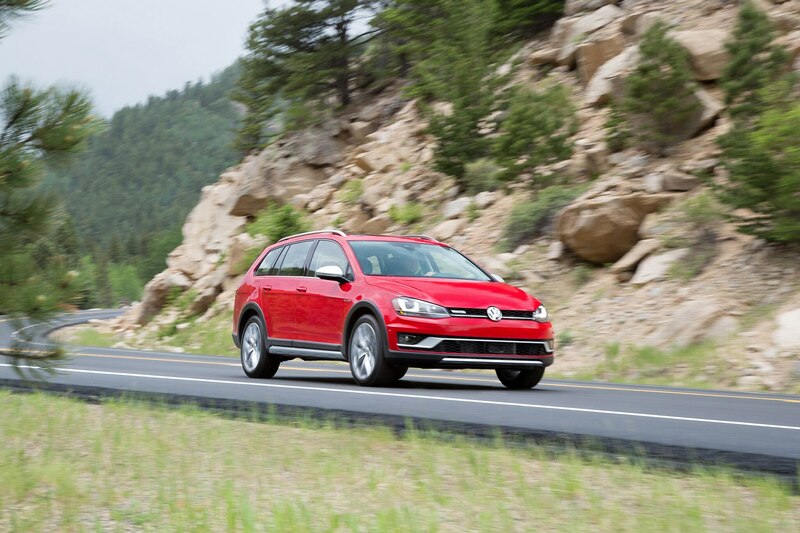 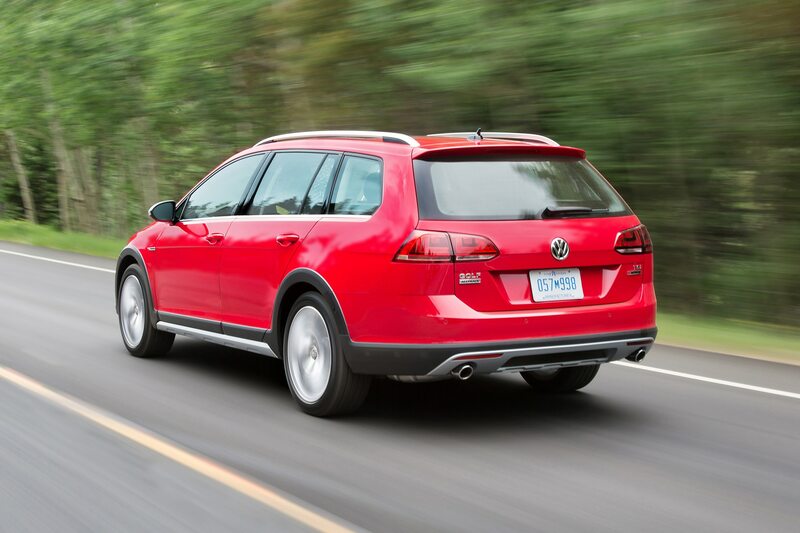 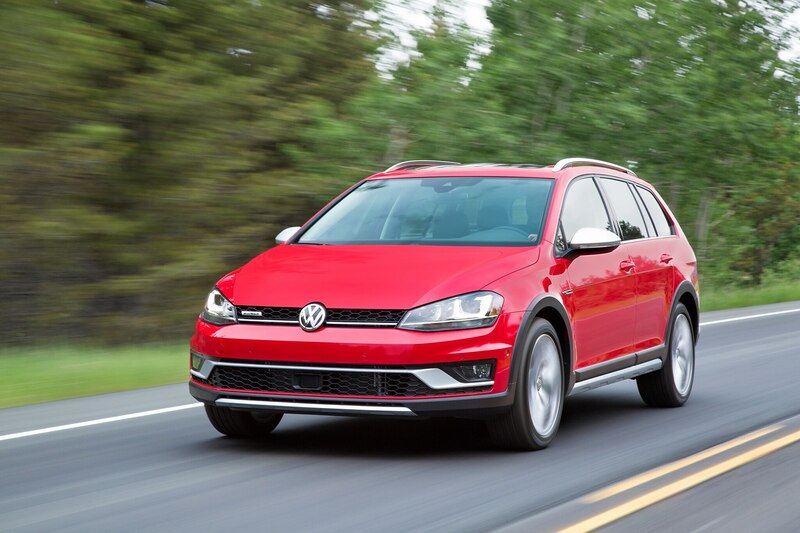 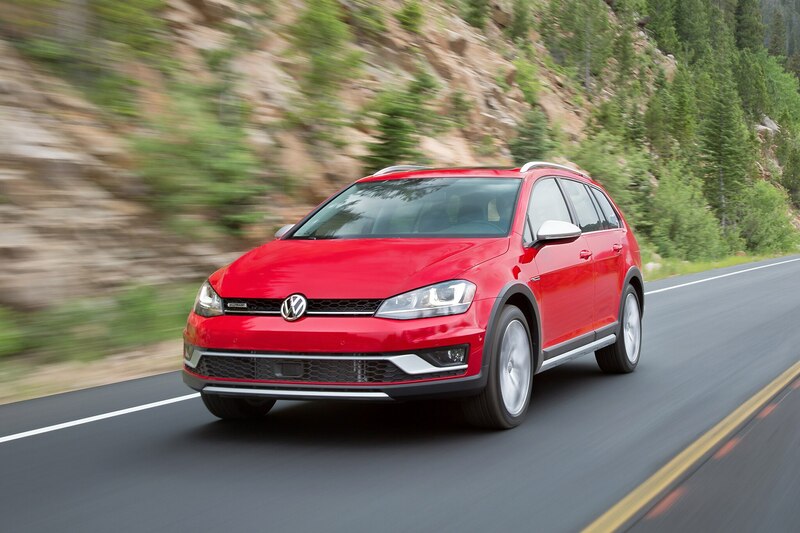 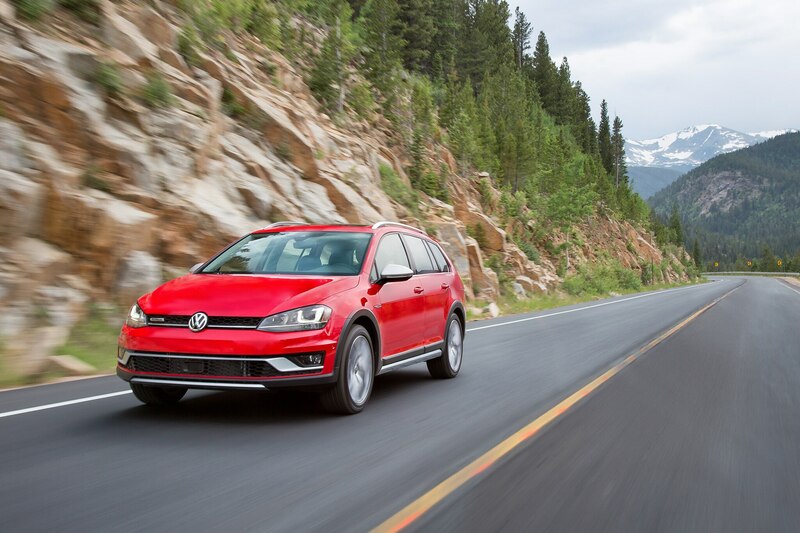 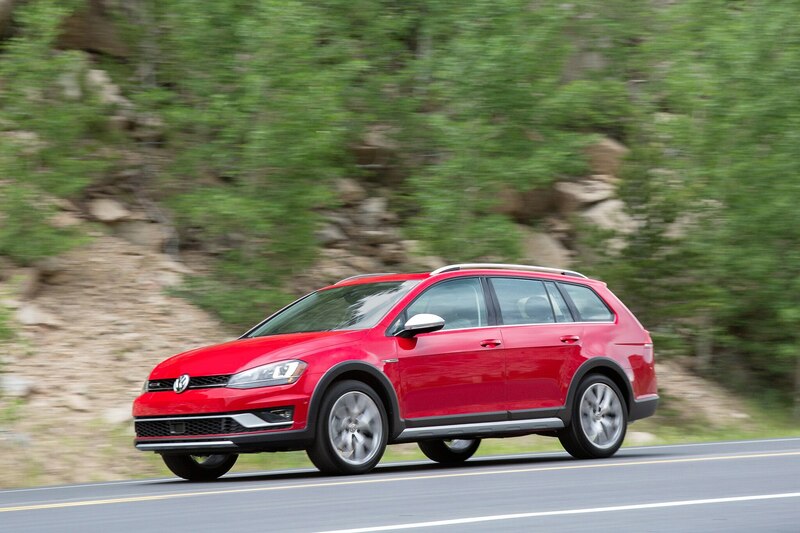 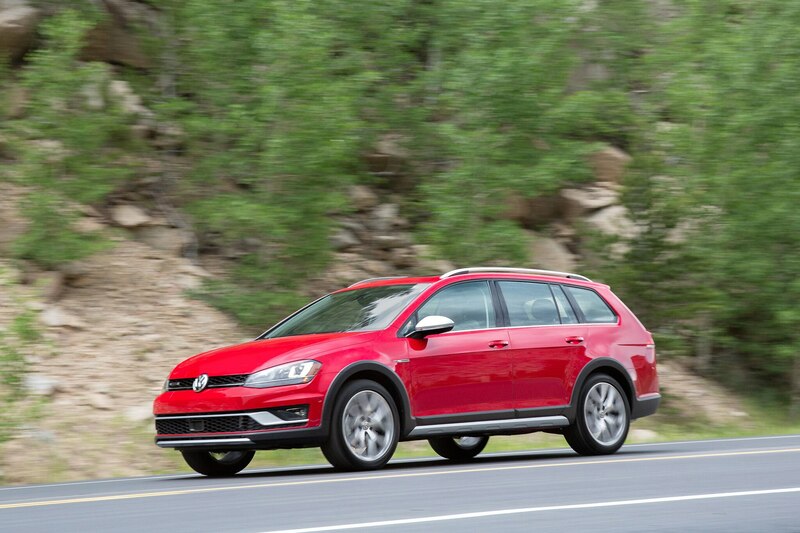 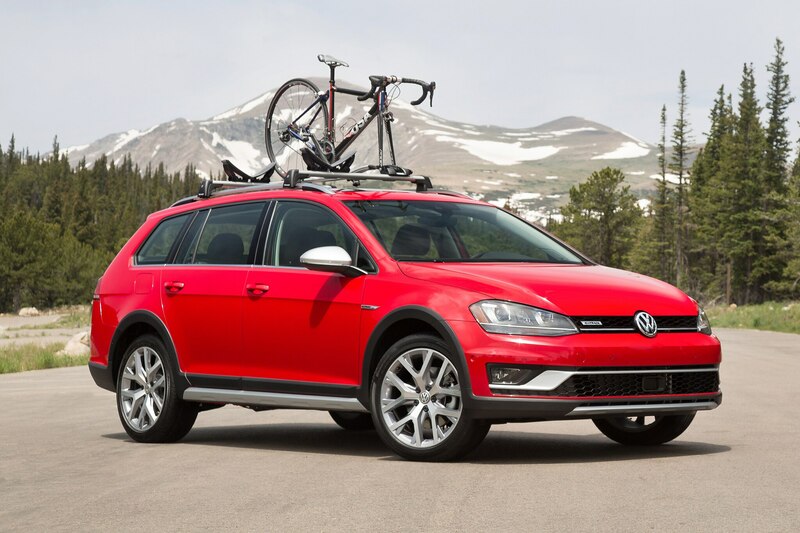 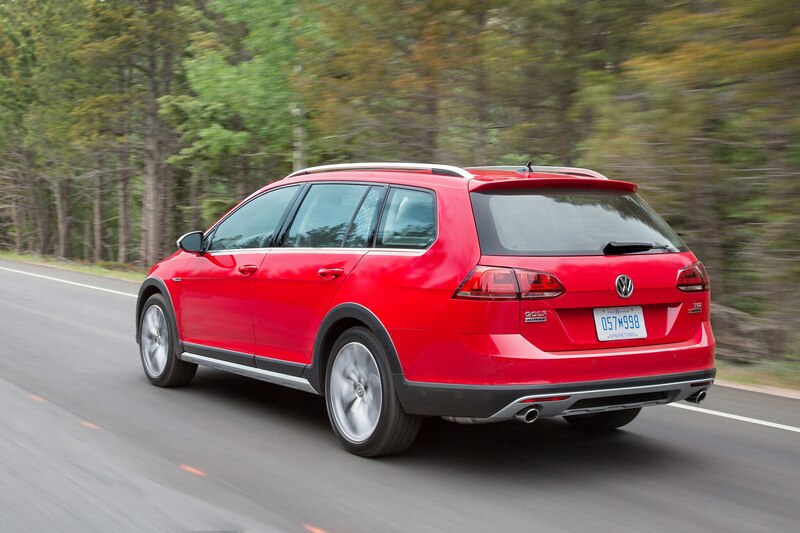 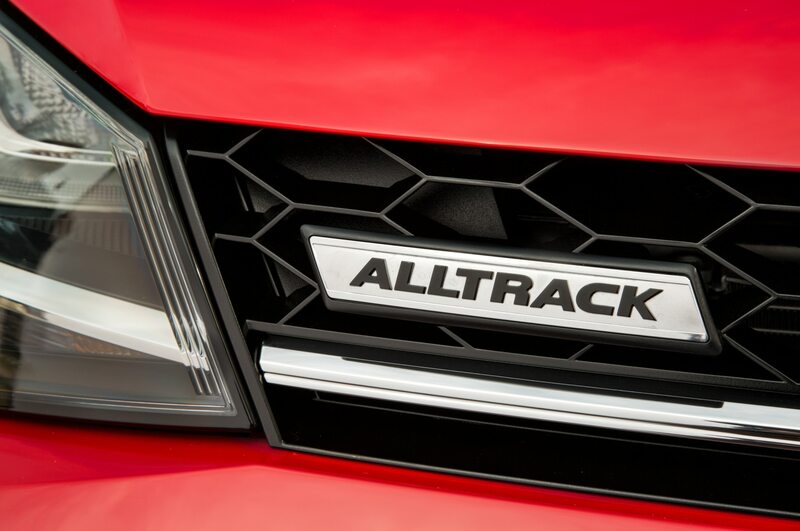 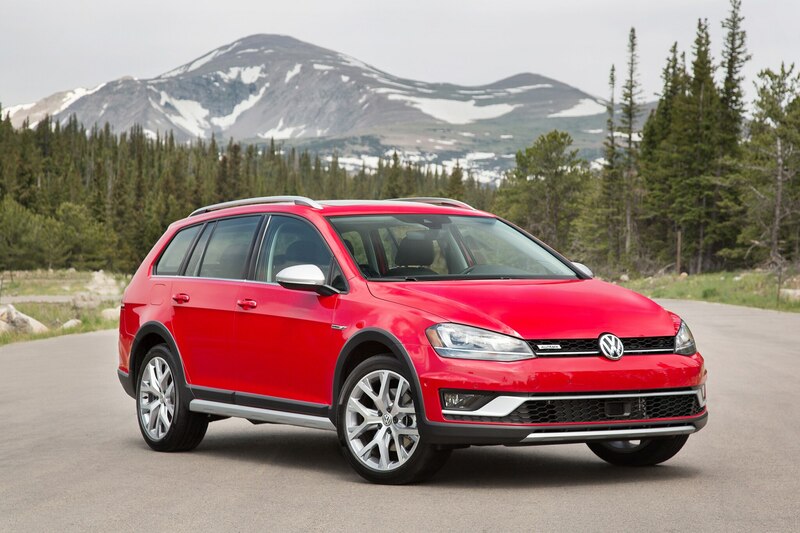 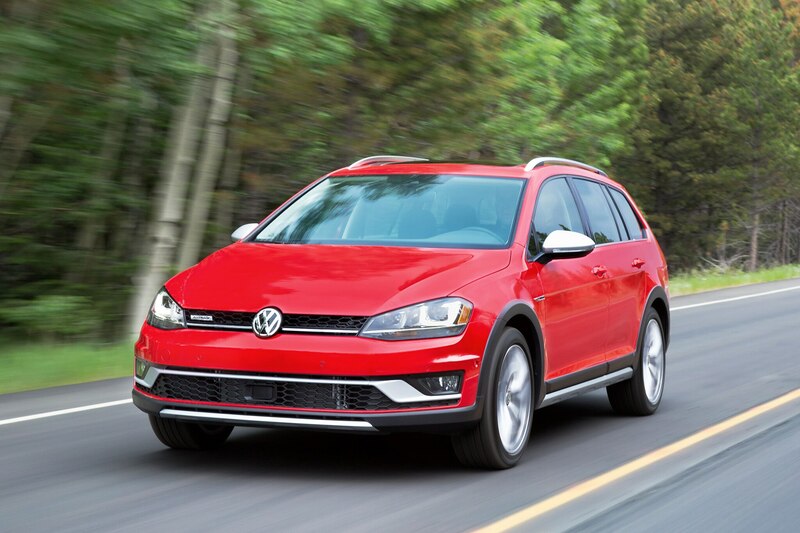 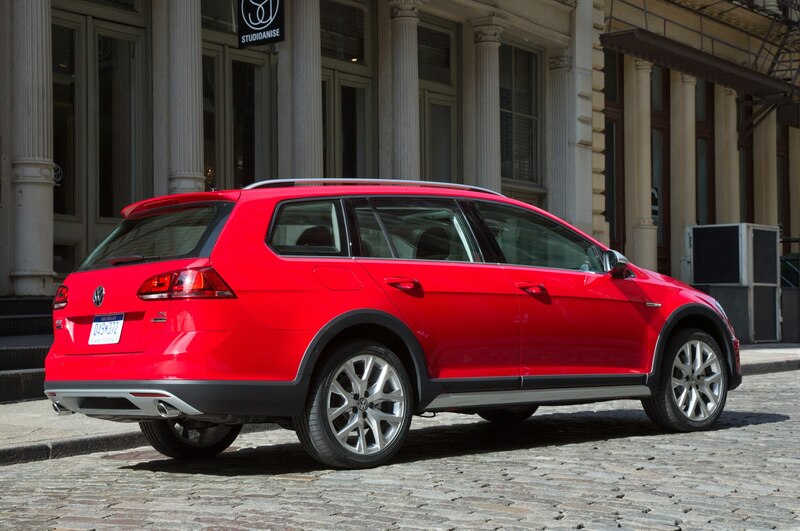 Speaking of safety, the Alltrack has nabbed a five-star safety rating from NHTSA. 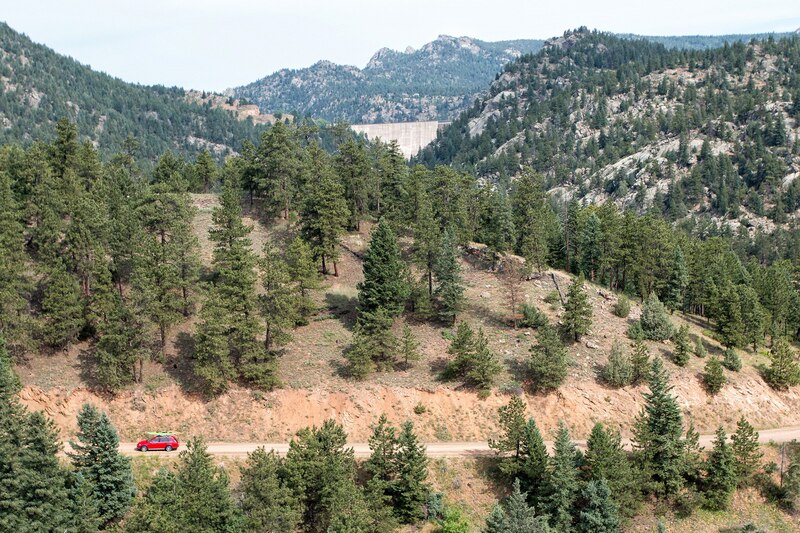 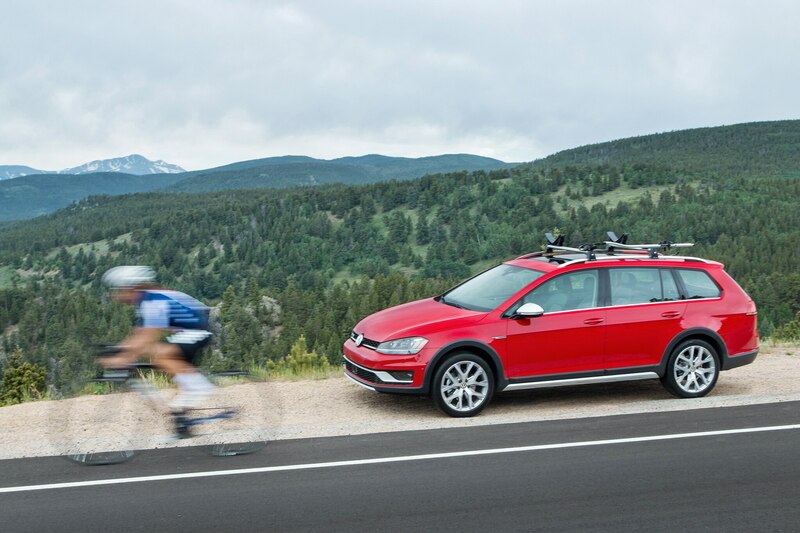 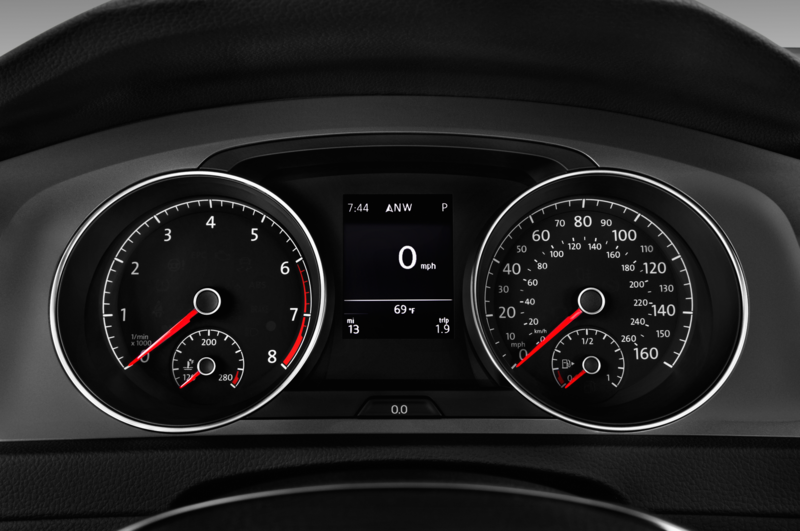 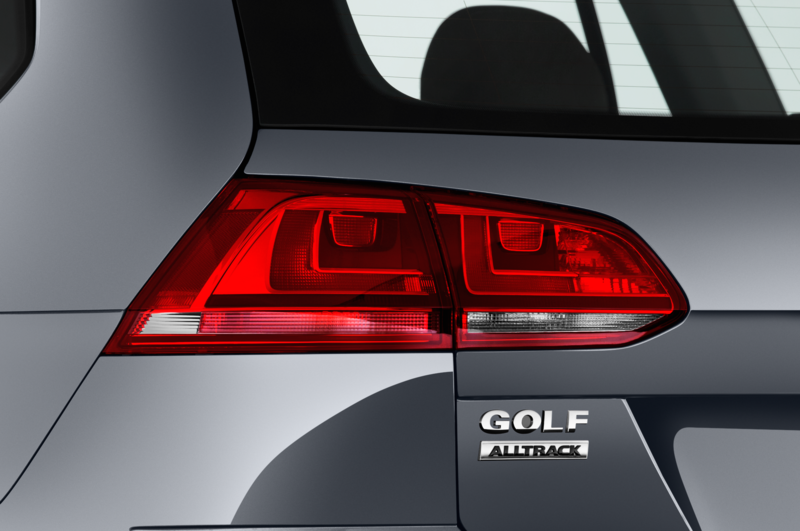 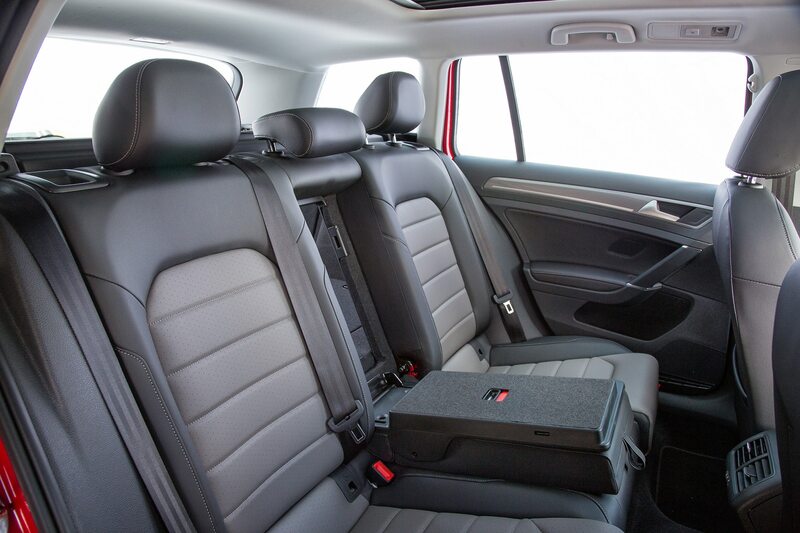 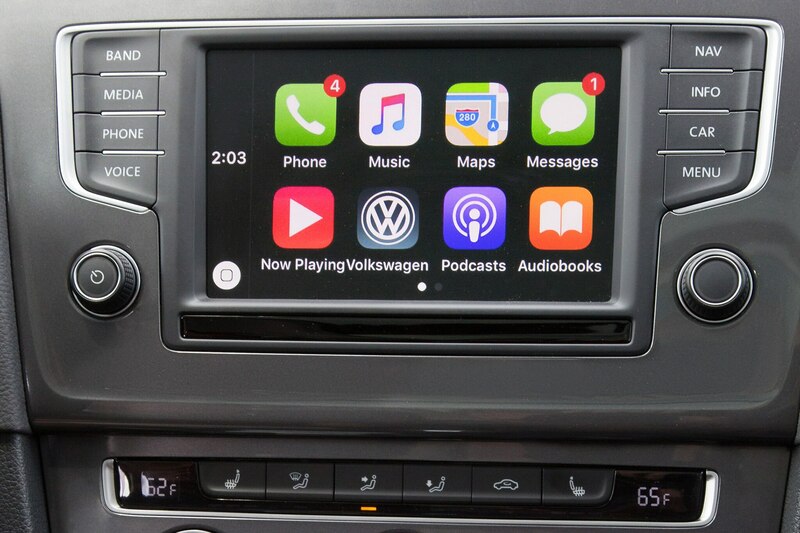 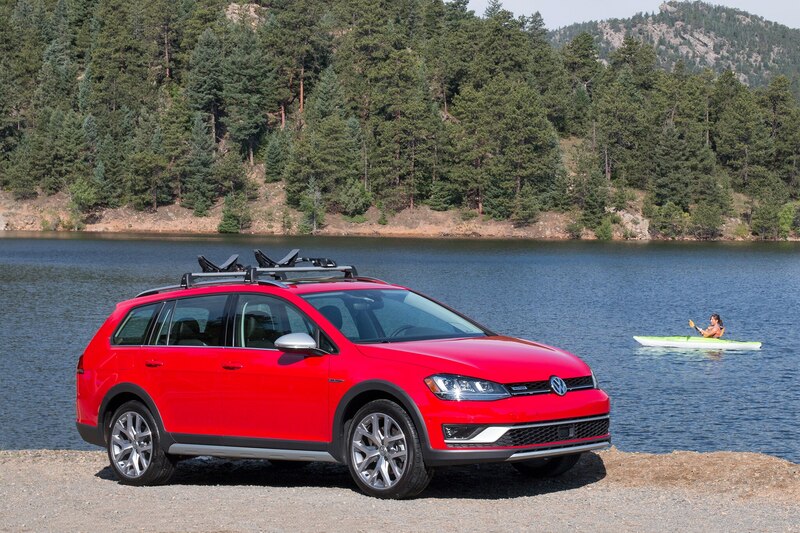 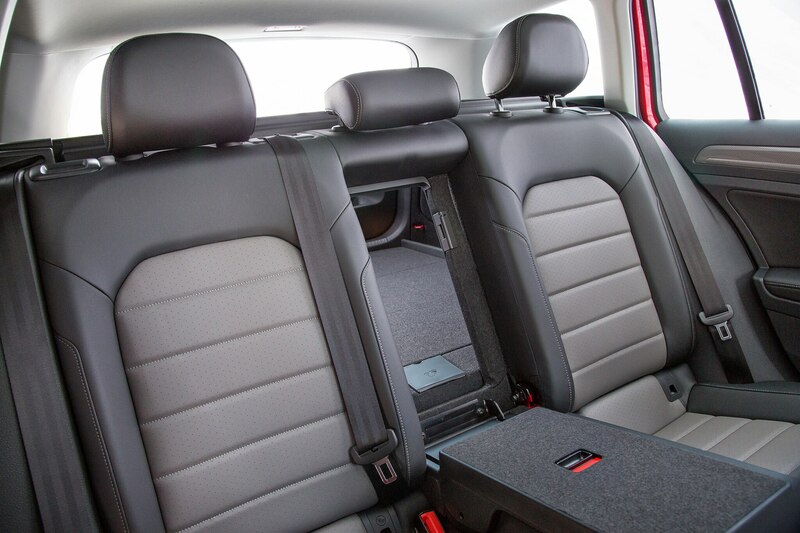 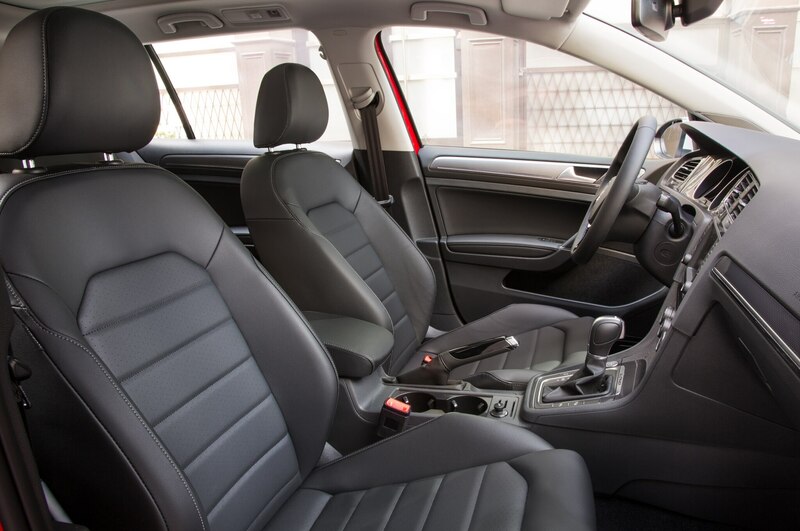 Just like the standard SportWagen, which goes for as little as $22,400, the Golf Alltrack receives a 1.8-liter inline-four producing 170 hp and 199 lb-ft of torque. 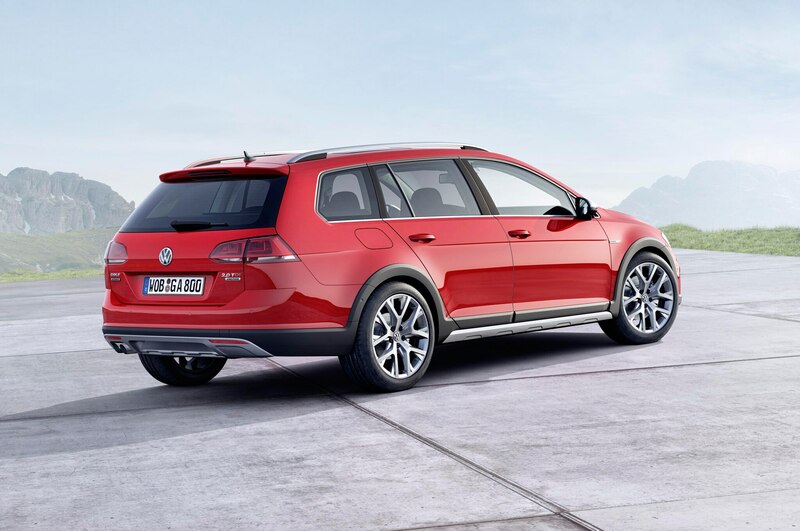 The engine comes paired with standard all-wheel drive. 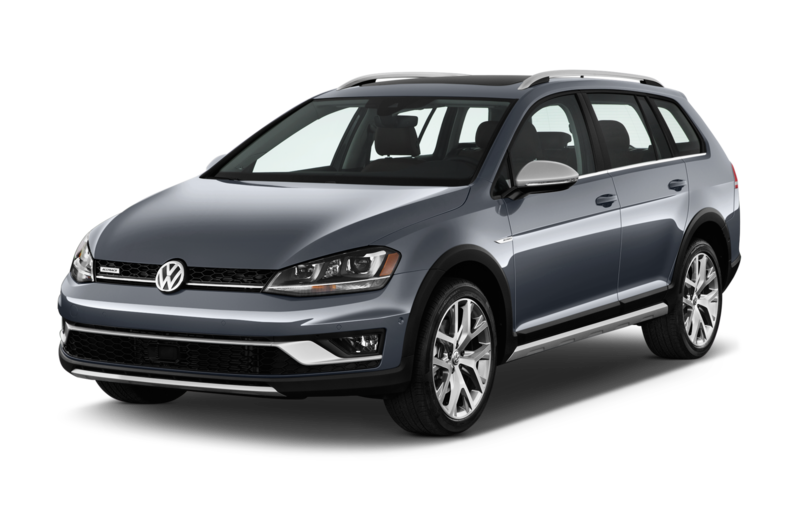 At 22/30/25 mpg, it shares the same EPA fuel economy estimates with the new 2017 Golf Sportwagen 4Motion. 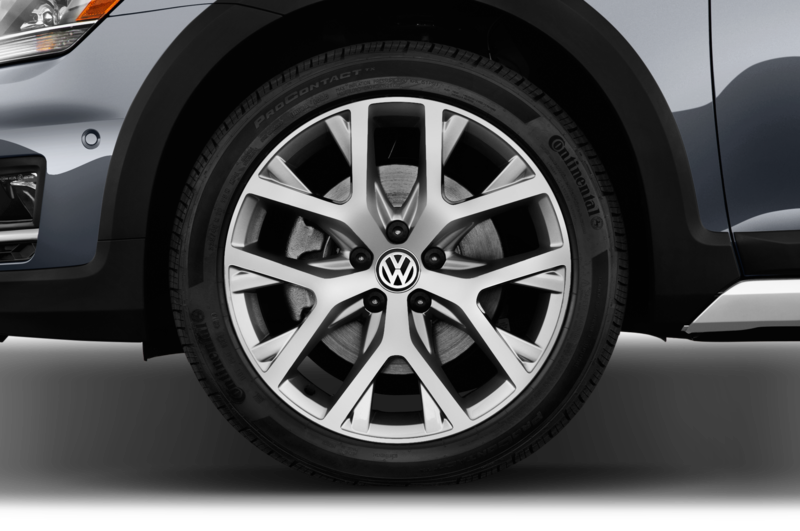 30 / 67 cu. 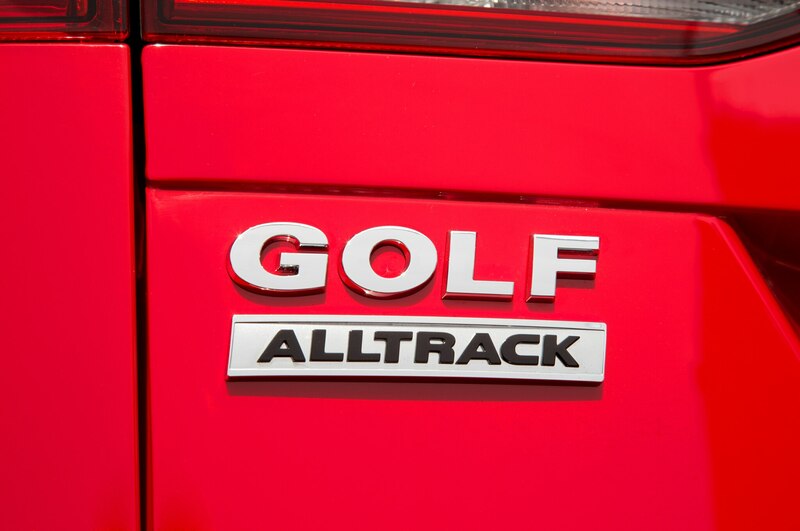 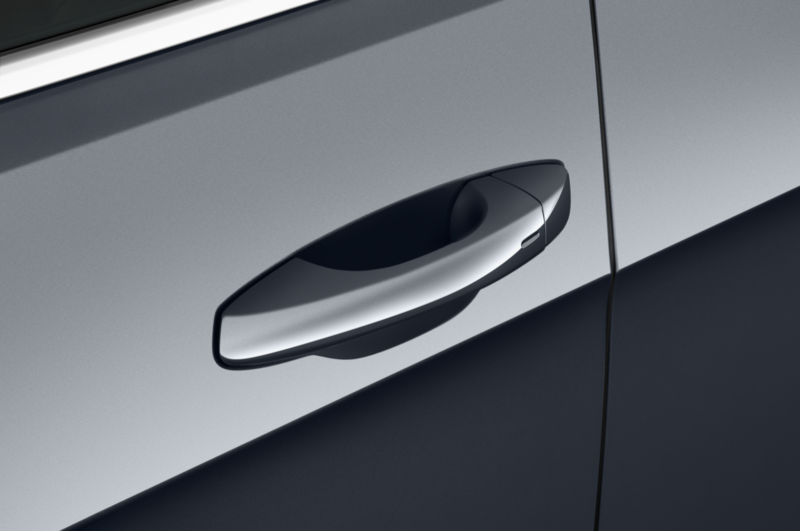 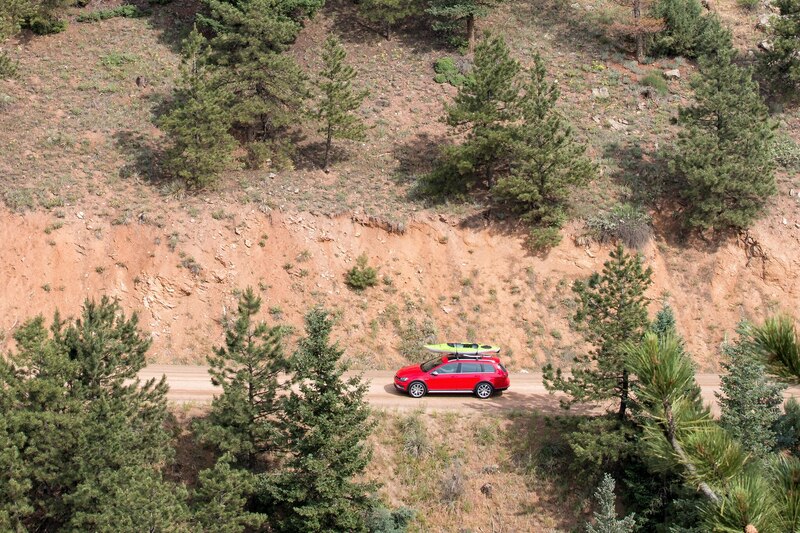 ft.
Can it steal sales from the Subaru Outback?